Don Andre i Aguas Calientes, Peru: Reservér nu! ser respetuosos amigables y respetar las fechas de las reservas . We are pride to be a Property with very high standards. 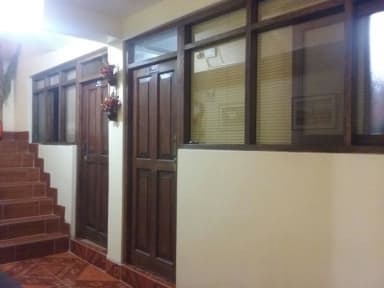 It is for this reason that we offer to our guests a prime location, the best comfort and a very good customer service. Same quality as a 3 star hotel. Guests can enjoy the on-site bar. Breakfast is included and served daily. Some units feature a sitting area where you can relax. 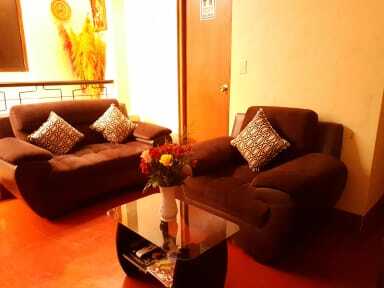 Don Andre is ideally located in Aguas Caliente. Machu Picchu Hot Spring is 0.6 km from Don Andre, and Machu Picchu Historic Sanctuary is 2.6 km from the property. Don Andre offers you the best comfort with the best orthopaedic mattresses available Every room comes with a private bathroom equipped with a bathtub or shower. A flat-screen TV is featured. Check-in time starts at 10 am. Check-out time is 9.30 am. No pets are allowed at this property.